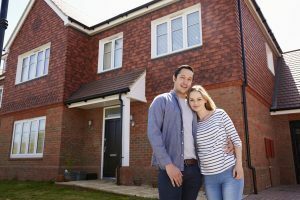 Nearly all millennial homeowners think now is a good time to purchase a home—and about half are actually ready to take the plunge, according to the Mortgage Service Index released by TD Bank on Wednesday. According to the report, about 90 percent of millennial homeowners believe now’s the right time to buy. They’re particularly optimistic about single-family homes, which 91 percent believe are a good purchase at the moment. About half of those surveyed—51 percent—said they are either extremely or very likely to buy within the next year. The report also showed that due to rising rates—and the potential of more increases down the line—about 40 percent of millennial homeowners purchased a hew home recently. Another 26 percent started the buying process. But according to Ryan Bailey, EVP and Retail Lending Director at TD Bank, rising rates aren’t all bad; they also indicate a healthy marketplace. "Although impending rate increases worry some potential homebuyers, they should keep in mind that rate hikes are a sign of renewed confidence in our economy and job market," Bailey said. "Our survey data tells us that millennials are seizing this opportunity and leading the way with a favorable outlook on homebuying this season and beyond." Rates aside, there are still other roadblocks keeping many millennials out of the market. About 28 percent said low inventory was the problem, while 21 percent said a lack of homebuying knowledge and confidence in navigating the process posed issues. According to Bailey, working with lenders and other professionals along the way can help—particularly when there’s difficulty navigating the process. "It's important for homebuyers to meet with their lenders early and often," Bailey said. "Talking to your mortgage loan officer before and during the mortgage process will instill the knowledge and confidence you need to navigate the entire mortgage process with ease. Surprises can be fun, but not when it comes to getting a mortgage for your home."